• Makes a great Commitment Ring or Engagement Ring! Absolutely gorgeous ring, and John is a fantastic shop owner. We had a mix up with ring sizes (totally my fault, we ordered the wrong size) and John was so understanding that we needed the right size quickly, and shipped it right out to us. Super quick response time, incredibly helpful and, most importantly, beautiful craftsmanship! Thank you! Really nice solid ring. Looks great and feels really smooth on my finger. 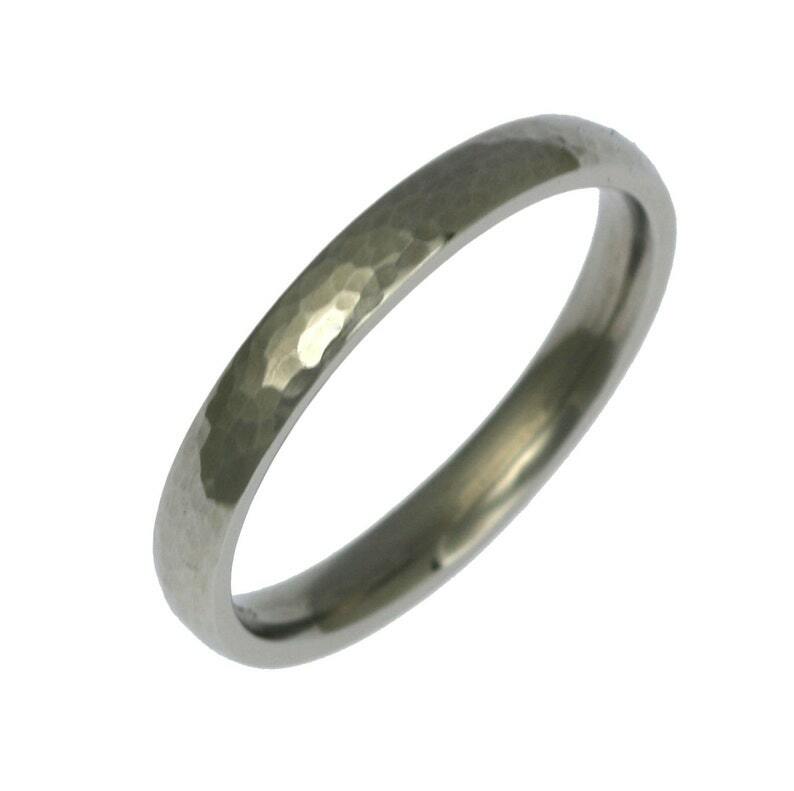 This ring is exactly what my fiancé was looking for, a slim band with hammered detailing giving it a distinguished look. The shop owner was very helpful finding the right size for us. Many thanks! Bought this for my boyfriend for his wedding ring. He didn't wanted something easy to care for that was a little different than rings he sees everyday. The ring shipped really quickly, we had it in a few days. It came in a nice little box and fit perfectly. It will make a great ring on our wedding day. 3mm Stackable Chased Sterling Silver Band Ring - Makes a great Wedding Band or Engagement Ring! 3mm Stackable Chased Sterling Silver Band Ring - Unisex Band Rings - Silver Stackable Band Rings - A Great Wedding Band or Commitment Ring! 3mm Texturized Stackable Sterling Silver Band Ring - Unisex Band Rings - Silver Stackable Band Rings - A Great Wedding or Commitment Ring! 3mm Fine Hammered Stackable Silver Band Ring - Unisex Band Rings - Silver Stackable Rings - A Great Wedding or Commitment Ring! 3mm Hammered Stackable Sterling Silver Ring - Unisex Band Rings - Silver Stackable Band Rings - A Great Wedding Band or Commitment Ring! 3mm Matte Stackable Sterling Silver Band Ring - Unisex Band Rings - Silver Stackable Band Rings - A Great Wedding Band or Commitment Ring!